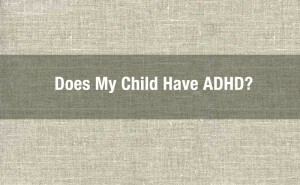 Does My Child Have ADHD? Many parents ask this question – when in doubt, get a professional assessment by a therapist! 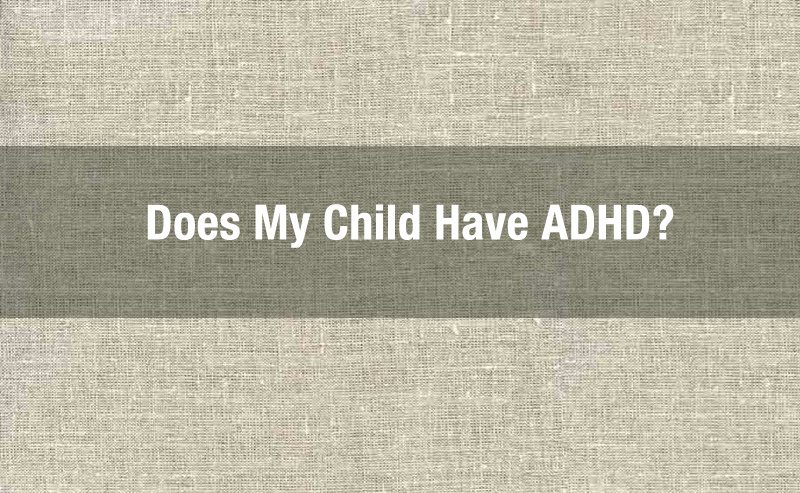 If you find yourself asking “Does my child have ADHD?”, don’t feel like you’re alone. Many parents question the behavior and energy levels of their children, and without careful attention to details you may mistakenly assume that your hyper, happy child has ADD/ADHD when they don’t- or vice versa. It’s important to understand the signs and symptoms of ADHD, and to get a professional assessment by a therapist treating ADHD in order to verify that your child has ADHD. Attention deficit hyperactivity disorder (ADHD) is a complex mental health disorder that can affect a child’s success in school and with interpersonal relationships. The symptoms of ADHD vary and are sometimes difficult to recognize. Here are seven common signs that may indicate ADHD. 1.) Focus on Self: A common sign of ADHD is an inability to recognize other people’s needs and desires. A child with ADHD may interrupt other people when they’re talking. They may have trouble waiting their turn for classroom activities or when playing games with other children. 2.) Emotional Outbursts: A child with ADHD may have difficulty keeping emotions — both good and bad — in check. They may have outbursts of anger at inappropriate times or temper tantrums (in younger children). 3.) Fidgeting: Children with ADHD often can’t sit still. They may try to get up and run around or fidget or squirm in their chair when forced to sit. 4.) Inability to Complete Projects/Tasks: A child with ADHD may show interest in lots of different things, but may have problems seeing them through to the end. For example, they may start projects, chores, or homework but leave, but move on to the next thing that catches their interest before finishing. 5.) Trouble Focusing: A child with ADHD may have trouble paying attention, even when being spoken to directly. They’ll say they heard you, but won’t be able to repeat back to you what you just said. 6.) Prone to Mistakes: It’s important to remember that children with ADHD aren’t lazy or less intelligent than other children. They just have difficulty following instructions that require planning or executing a plan. This can then lead to careless mistakes. 7.) Daydreamer: Children with ADHD are typically portrayed as rambunctious and loud, but that’s not always the case. Another possible sign of ADHD is being quieter and less involved than the other kids. A child with ADHD may stare into space, daydreaming, and ignore what’s going on around them. First, if you suspect your child has ADD/ADHD, please contact our office to schedule an ADHD assessment. No one treatment is right for all kids, and working with a mental health care provider is your best bet to ensure that you’ll have a strategy that works. Many children with ADHD respond well to counseling for behavioral modification, goal setting, and to work through any emotional issues they may have as a result of their ADHD.